A Weekend Bag from the In A Nutshell range. 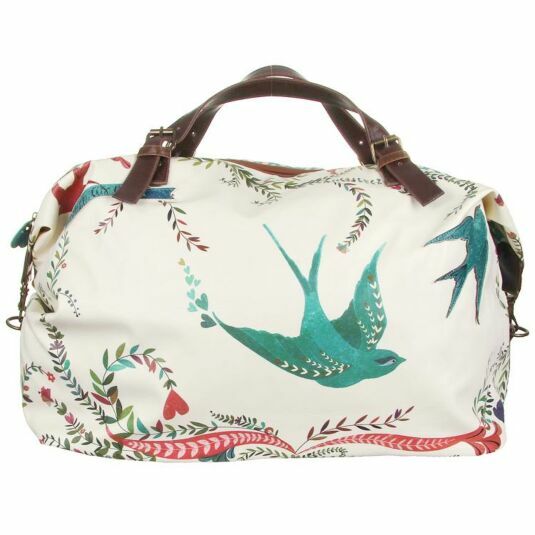 If you're going away for a weekend or for a short stay somewhere, this overnight bag from Disaster Designs is just what you need to help you get your things there. 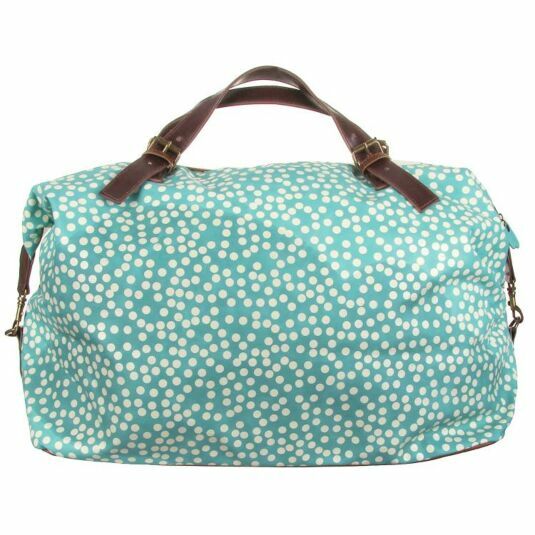 Whether a trip for work or a holiday for fun, this large bag is ideal for carrying all your clothes, toiletries, books, accessories and anything else you might need. The delightful design features the text "Free as a" and has beautiful illustrations of birds and flowers. 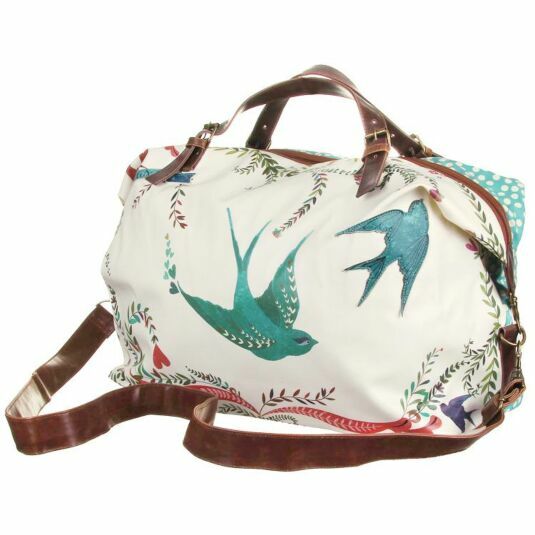 The design features layers of fabric stitched onto the design, adding depth and style to the bag. The reverse features a cream polka dot pattern on a sea green background, and the lining inside is olive green. The bag has two adjustable handles and there are also clips on either side that allow you to fold the bag into a slightly smaller shape, saving space. 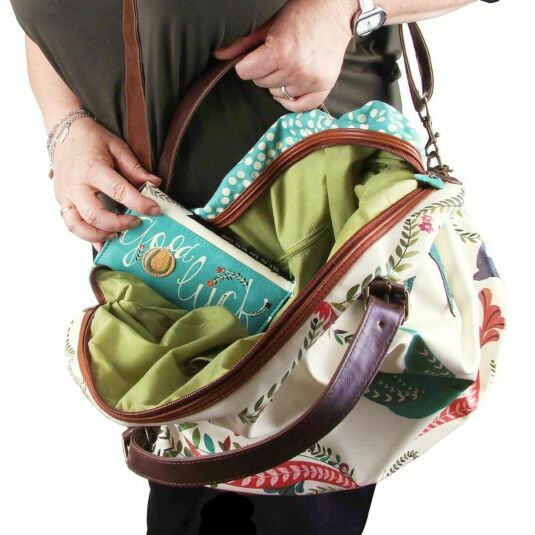 The spacious bag shuts with a zip and also features a smaller internal zip pocket, a pocket for your mobile phone and an additional pocket, allowing you to keep certain items separate and easy to locate. A real must-have if you or someone you know is planning a trip any time soon, with a broad appeal across all ages, from teens to mums to grandmothers.